Following NHS England’s announcement of the establishment of a major new Framework, Stephen Dorrell, Chair of The Network Group (www.The-Network-Group.org) commented that he is delighted that the Network Group has been successful on all of the categories it bid for. He added “this is a significant step forward for The Network Group, an emerging and innovative organisation designed to support the NHS, local government and other health and care organisations deliver the next generation of integrated care models”. Neil Griffiths, Managing Director of The Network Group, said “we have worked hard to develop an organisation for the future that combines the flexibility, innovation, experience and value offered by specialists with the breadth, resilience and governance of more traditional corporate organisations, and are thrilled that this has been recognised by NHS England. We look forward to supporting health and care organisations to act together for their patients and communities by applying our experience in insight, partnerships, engagement, efficiency and innovation to help deliver improved services and outcomes”. 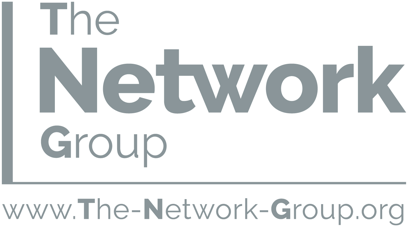 The Network Group is a robustly governed organisation with one voice, ethos and vision. Its specialists combine the knowledge to design and develop new ways of doing things with the track record and experience of having delivered in and with public services over many years. What sets it apart is the ability to deal with the real, practical obstacles to change – how to derive greater insight, even when there is only poor quality information; how to get divergent stakeholder groups working together, putting patients and communities at the centre; how to deal with the real-life social and clinical complexity that individuals face. The Network Group has some of the most experienced and respected people within their specialisms from across UK health and social care as a whole, who have led large national programmes and delivered within local health and care systems.